Breakthrough Blogs: Best. Wormhole. Ever! Hi everyone, just a quick post today. As I'm going through the final edits for Escalation, I think of what it would really look like traversing a portal through space and time. I've seen a lot of movies and read many books with wormholes. And by far and away, Contact with Jodie Foster is the best scene for my money. Most have seen Contact at one time or another. But the scene is worth watching again. 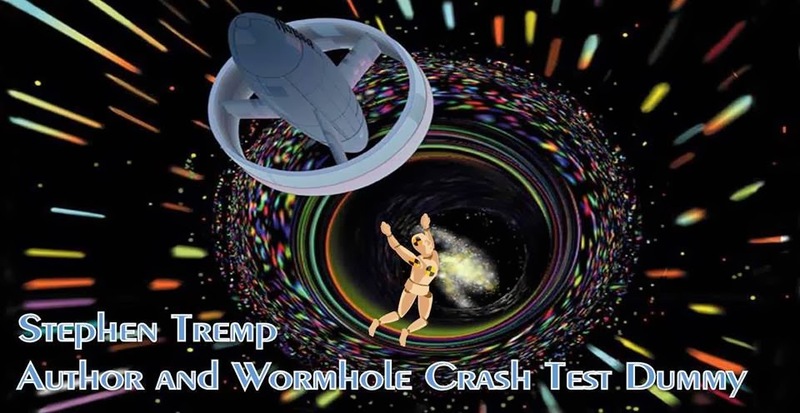 Question: What was the best wormhole scene you have read in a book or seen in a movie? Enjoy, and see you for the Friday Follies! Good luck with the edits. I personally just want to step through the Stargate and end up in the Pegasus Galaxy. Susan, you and me both. Contact is cool. How about The Black Hole? Alex, I haven't seen The Black Hole in over twenty years. I'll have to watch a clip on YouTube this evening as I don;t remember what the wormhole lookes like in that movie. good luck with the final edits. Really looking forward to the final product. The wormhole scene in Contact was amazing. I also liked the initial wormhole scene from the first first Stargate movie. Thanks for linking the video Stephen--I had forgotten about that one. I hope your work goes well. Contact I think still remains the standard. But I'm willing to hear what others say about the matter. The wormhole in Contact is cool. I've been to the VLA's featured in the movie, too. They are really that big. The Very Large Array. How cool would that be! I just saw Contact recently...great scene! Contact is a good movie. I've seen it a couple of times. Best wishes with the final edits of Escalation. I look forward to reading it. Contact is cool, but I like the idea of Stargate best. Best wishes with your edits! Tyrean, love the Stargate wormhole. If I remember correctly, didn't they just find it by stumbling upon it by mistake? I chose orange and yellow for the colors for my wormholes. Blue was my first choice. But everyone uses blue. So I wanted to be different and hopefully stand out from the rest. I don't have wormholes yet. But you guys are making me jealous, so I may have to get me at least one of those. Thanks for the Contact scene. I do love it! I had forgotten that scene. Marvellous movie. Good luck with the final edits. Generous of you to share thank you! I wanted to thank you also for post below where inter alia you give us great ideas of how to be organised for the A-Z ... am going to send to a few friends who will MUCH appreciate this. (Did not see comment place). Thanks for sharing the scene. Since I don't read or follow sci-fi, I hadn't seen a wormhole scene before. I love the space imagery! I'm not writing a scifi, but this post makes me want to introduce a wormhole into my book, just because. All the best with the edits, Stephen.